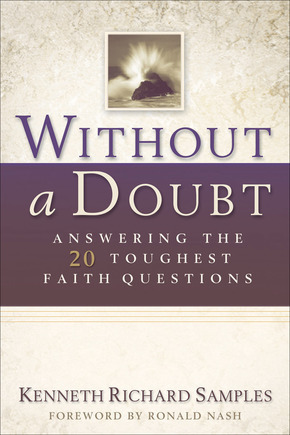 A great interview with the author can be found on a recent Apologetics.com podcast with Kenneth Samples... click here. I've been listening to his podcasts over at Straight Thinking, and I think he's a very good apologist. The book is well worth the purchase as well. Then how could imperfect humans have been created by a perfect god? According the Bible, God did create man perfect(Adam and Eve; Gen 1& 2); however, man choose, by exercising his God-given free will, to disobey God. As a result, sin entered the world. So, to answer your question, God did create man perfect(a perfect God logically can only create perfect things; however, He also created them (Adam and Eve) with the freedom to obey or disobey Him. Forced freedom is clearly a contradiction. To be truly human and free, obedience must be chosen, not mandated.